When we think about business advancing, we must change to a higher quality of thoughts to accomplish mental mastery. We must understand that the quality of our thinking will always produce the outcome of our results in every part of our lives. These mental laws are happening at every level of our lives including sales. There is a proven system of ideas, methods, and techniques used by top salespeople everywhere. 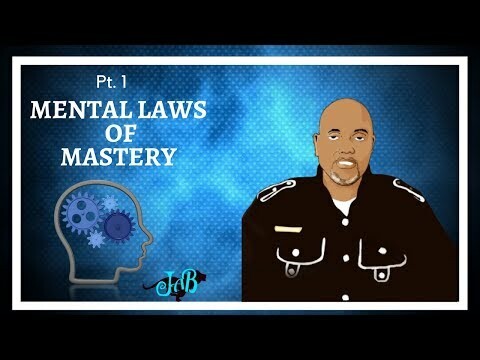 You can learn and master these concepts by applying these mental laws in this article and also the video below. Part 2 of this series is here. This law states that for every effect in your life, there is a specific cause or causes. One must understand that anything that you want to see in your life or see more of, you must define it clearly. Remember, you can attain it by tracking it back to the things that caused it and by implementing those causes. When we think about sales, remember that success is an effect in this profession by the specific cause. Here is a simple answer to the solution. We must find someone that is successful as an entrepreneur in this area, then learn and implement the same causes and in return, we will ultimately get the same effects that they do. Results are typical. This law says that if you want to be one of the most successful and highly paid persons in your field, then you must find out what highly paid people are doing and do the same. This is an example of wealth creation at it’s best. The thing is that 85 % of the people that grasp this concept will not follow the cause. They simply will not do all that’s required. These are universal laws and not considered theories or opinions. The opposite of the Law of Cause and Effect says that if you don’t implement the same causes as those people who are getting the effects that you desire, you will not get those effects. You see, if you don’t do what successful people are doing then you won’t get what other successful people are getting. Quote: Ralph Waldo Emerson states that each person is compensated in like manner for that which he or she has contributed. This law of compensation is similar to the law of sowing and reaping. This law states that you will always be compensated for your efforts and your contribution according to your amount of contribution put in whether much or least. If you want to increase your compensation, you must increase the value of your contribution. It is said that you get in return the number of results directly related to that in which you put in the marketplace. Be reminded that your mental attitude, your feelings of happiness and satisfaction, will yield the results of the things that you have put into your own mind. They will also reflect your daily activities. Keep in mind that you must contribute more than you take out or this law will not yield the abundance you desire. In closing, remember to align yourself and your activities with the Law of Cause and effect ( and it’s corollaries) and you will always reap the rewards of your efforts. You can learn more about Attraction Marketing and how to apply Attraction Marketing to your business by clicking here…..